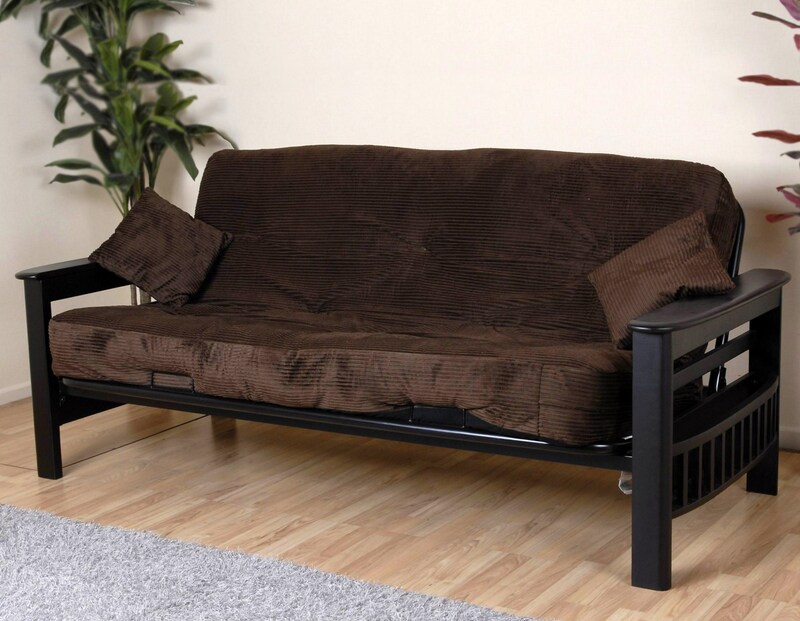 Tampa complete futon in one box features a metal frame, wood armrests with magazine rack storage, wood legs and an eight inch mattress with two matching pillows. FR compliant. The Tampa by Primo International at Michael's Furniture Warehouse in the San Fernando & Los Angeles area. Product availability may vary. Contact us for the most current availability on this product.